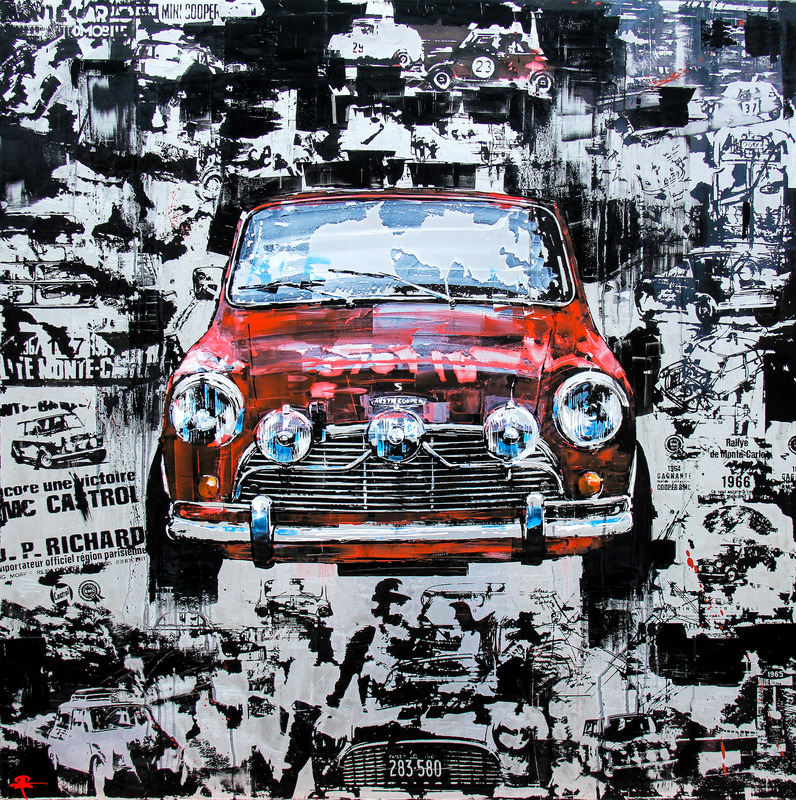 48″ x 48″, Oils on aluminium. 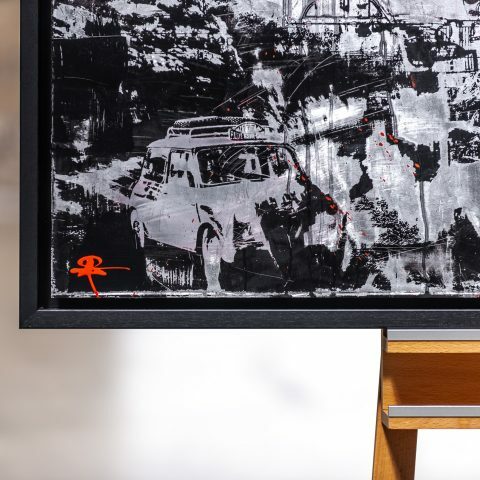 Framed in a black floating frame and ready to hang. 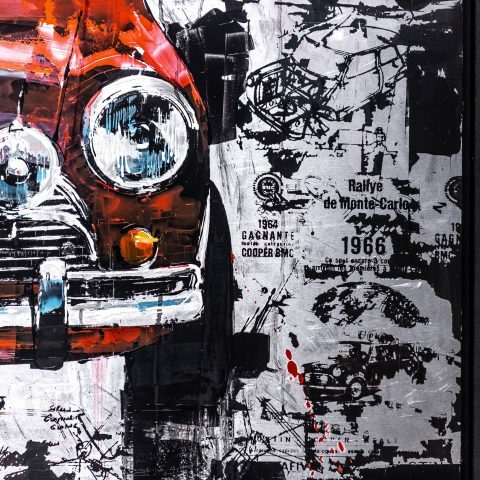 The iconic and memorable Mini Cooper, captured in all its glory and surrounded by historical memorabilia. 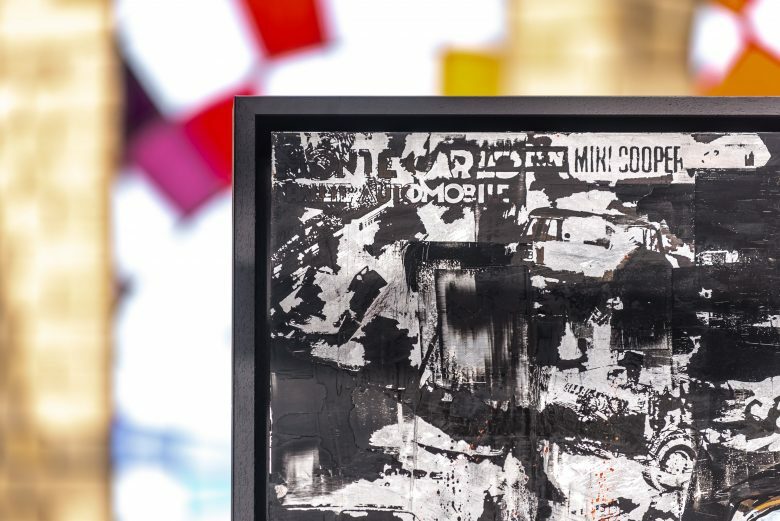 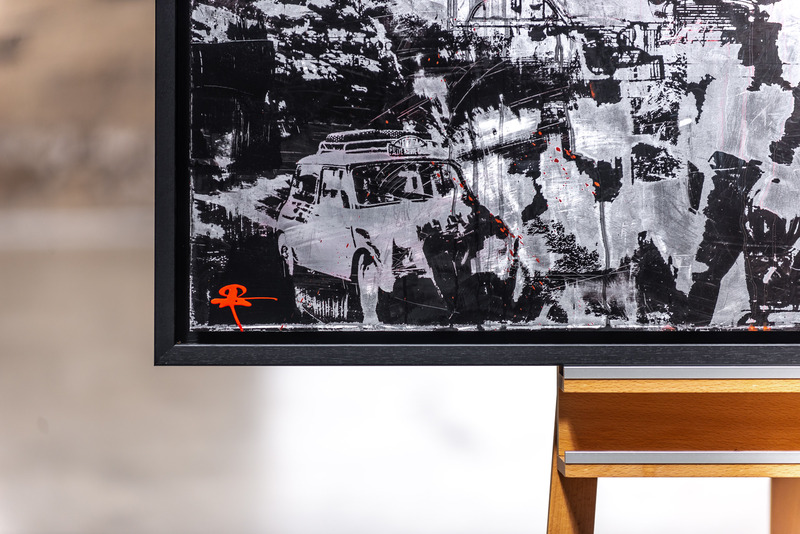 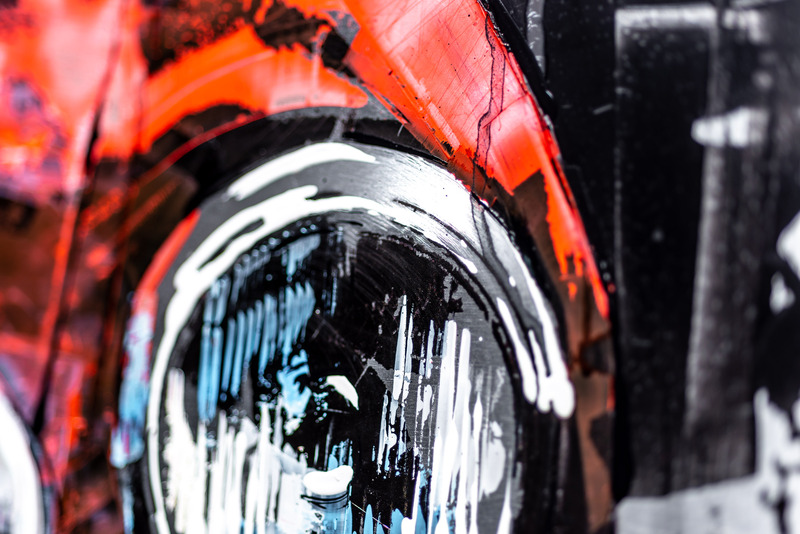 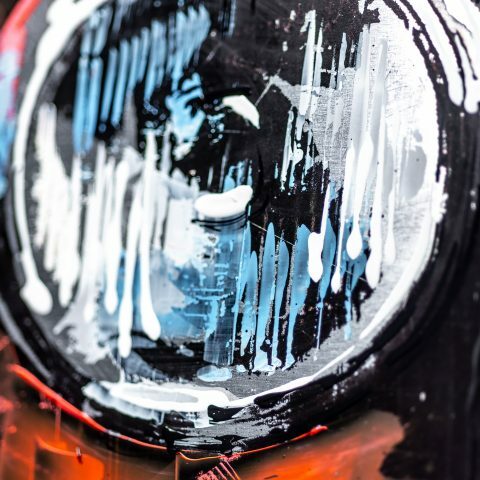 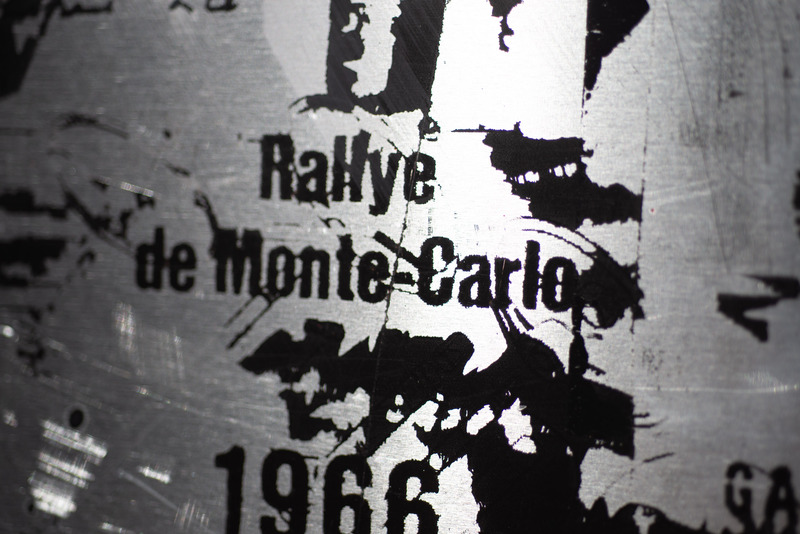 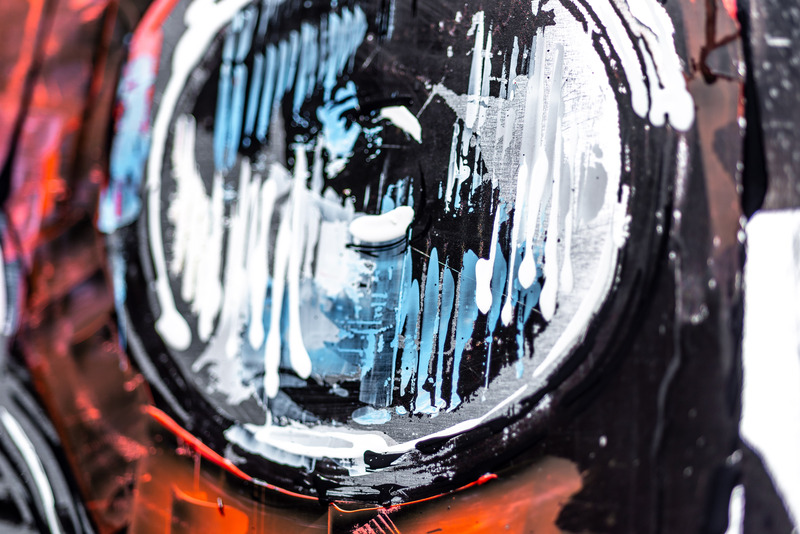 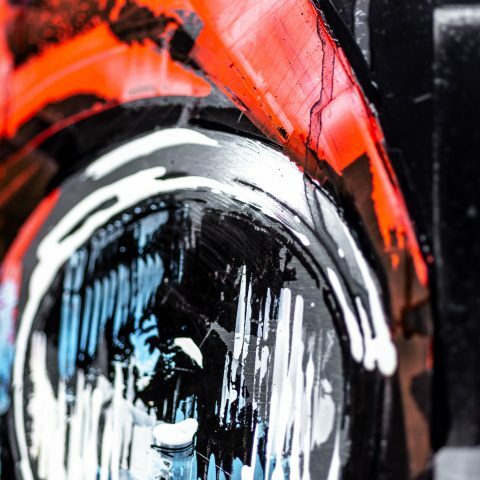 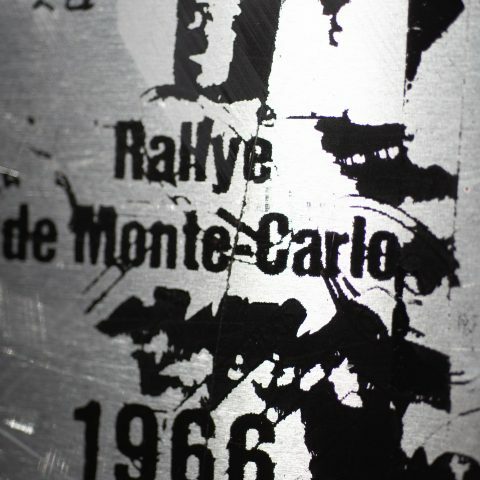 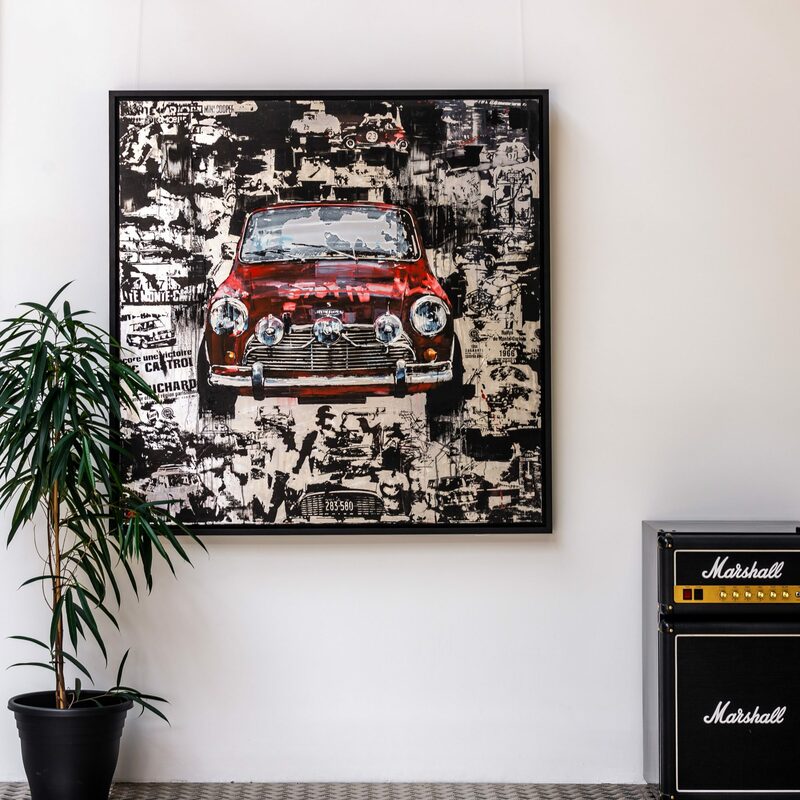 Paul paints onto aluminium to emulate the metallic materials used to make the car, and leaves large areas of metal exposed to allow for reflections which transform the artwork throughout the day. 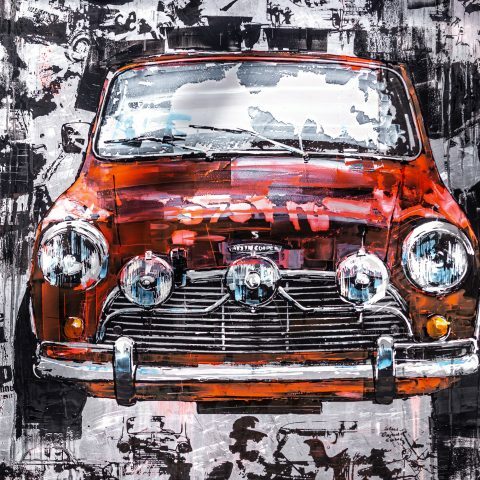 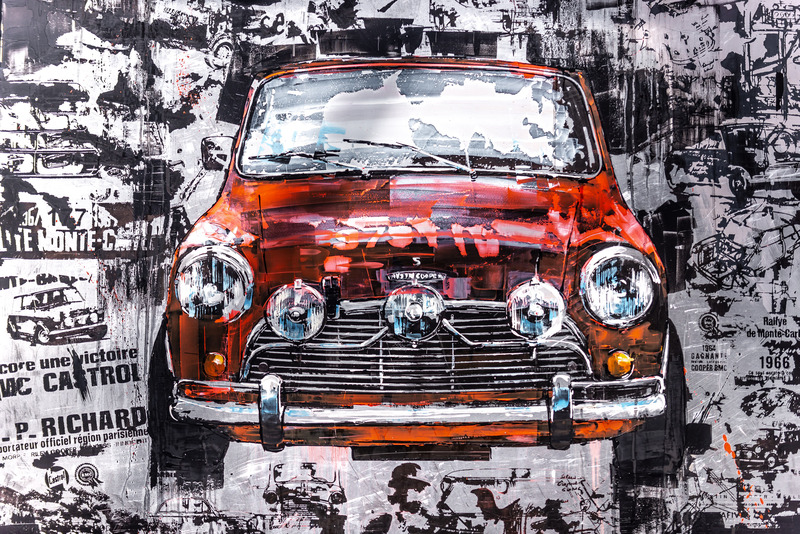 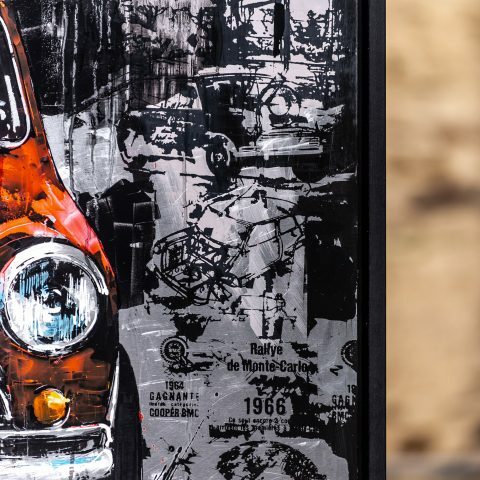 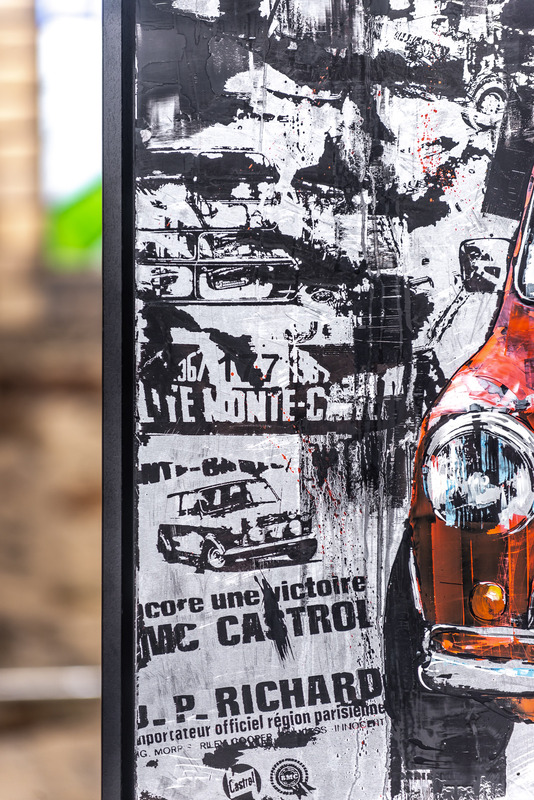 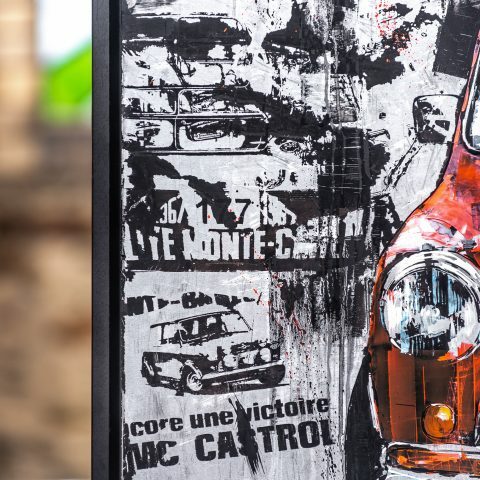 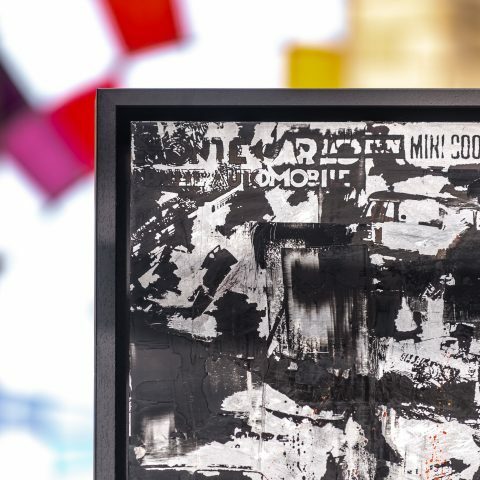 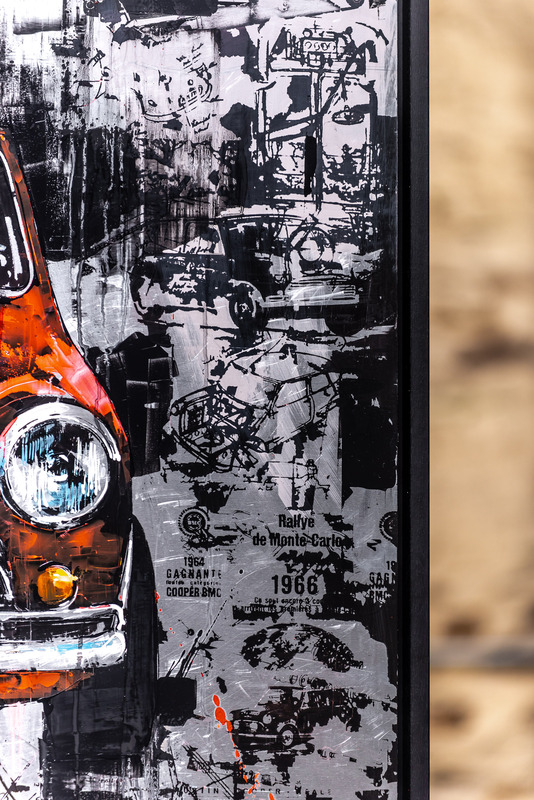 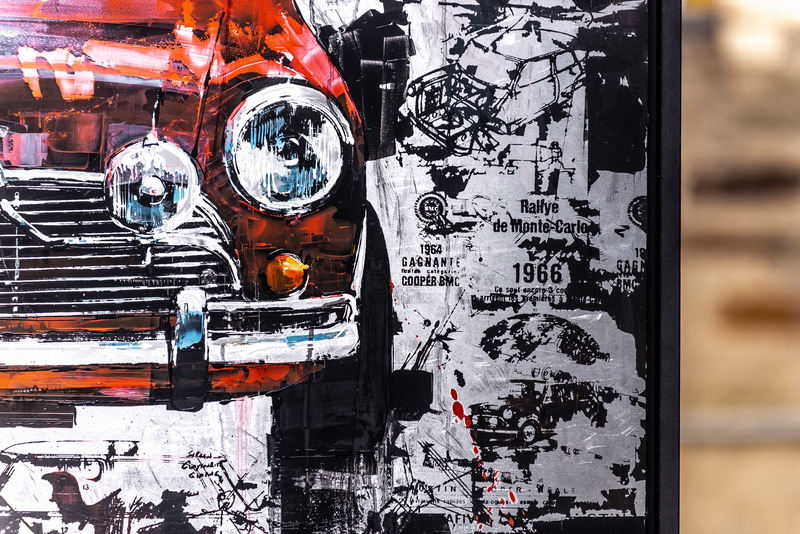 Featured behind the eye-catching red mini is a collage of memorabilia, restoration receipts, branding and mechanical drawings, highlighting its status as one of the most iconic vehicles of 1960s pop culture.